Kind-hearted Caitlin Jones has once again come up with a crafty way to raise funds for East Lancashire Hospice. Last year Caitlin, who turned 23 on Sunday, raised over £10,000 in a single year for the local charity in memory of her dad Nigel who died 11 years ago. 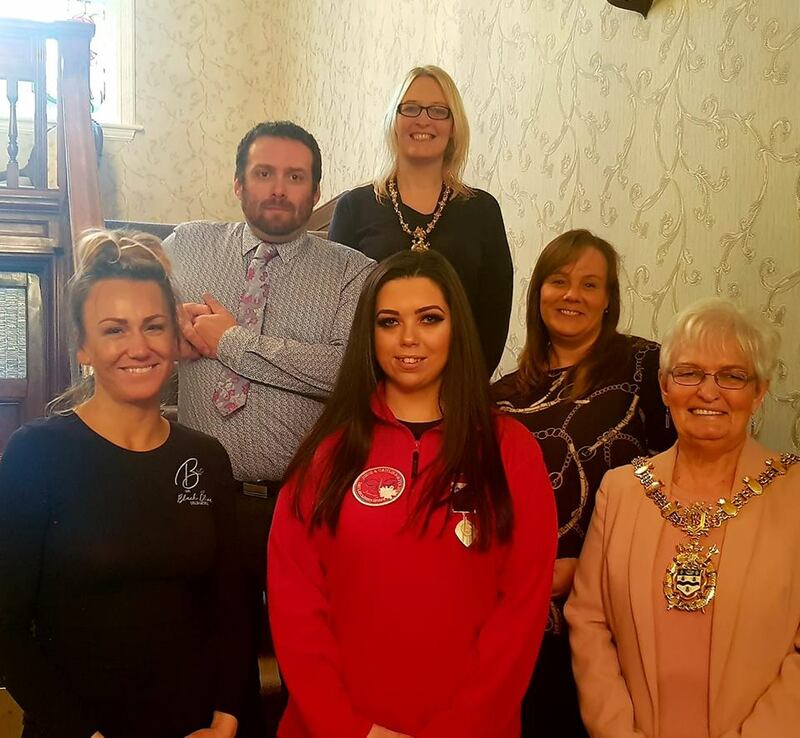 But the generous young woman shows no signs of slowing down after organising another sell-out crafting event at the Whitehall Hotel in her hometown of Darwen, supported by TV craft demonstrator Jodie Johnson. Attendees made a wide range of items using mixed media during various workshops. They also held raffles and auctions to raise additional funds and enjoyed a Mamma Mia themed night on the Saturday. They travelled from as far away as Ireland, Plymouth and Kent. Caitlin said: ‘Last year was a special year because of the anniversary, but every year is emotional for me. It doesn’t get easier, but the fundraising helps me to cope. I don’t have a target this year – but this will be the first event of many during 2019. Caitlin is also organising a ‘Spirit of Sound’ night at Sunbird Records in Darwen on June 15. It will feature DJs and MCs playing techno and dance music.